Limited breakfast, but huge lunch/dinner menu that should satisfy most diners. The restaurant is operated by Landry's. 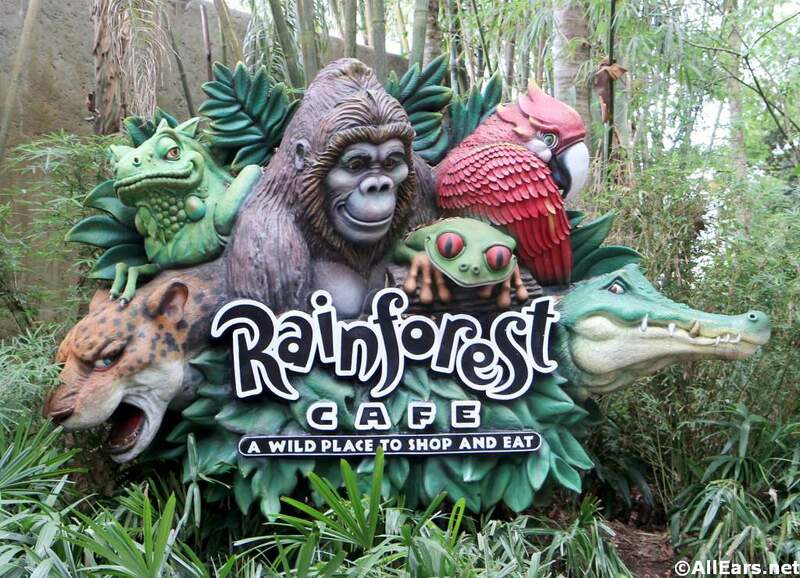 NOTE: If you join Landry's Select Club for a small fee, you can earn points that will result in discounts at Yak & Yeti, Rainforest Cafe, T-REX, and other non-Disney affiliated restaurants like Morton's and McCormick & Schmick's. Exotic fish in tanks, along with animal animatronic figures, jungle-like sounds and lights, even a periodic thunderstorm with lightning and thunder effects, and a gorilla beating his chest! Can be very loud.